vehicle – The Bunch Blog! Chevrolet has been slowly rolling out the Bolt EV to more states ever since the car’s introduction last December. Originally, the Bolt was supposed to go on sale in all 50 states as of September 2017, but General Motors has moved up its plans. 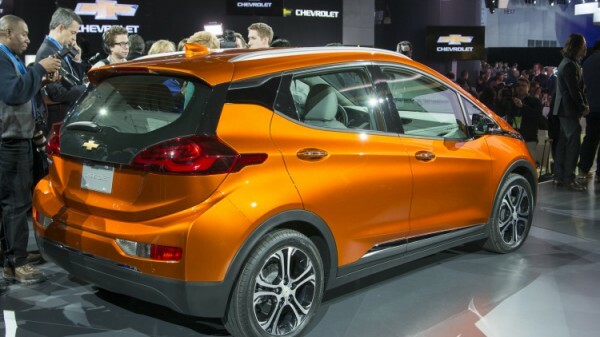 GM representative Fred Ligouri confirmed recent reports that the Bolt EV will be released nationally in August. He also mentioned that cars will be delivered to an additional five states at the end of this month for a total of 21 states since the December launch. For a car that has only been available in less than half of the United States, the Bolt EV has been selling pretty well, at least compared with Chevy’s other plug-in – the Volt hybrid. From January 2017 to May 2017, the Bolt EV has sold 5,950 units. The Volt, which is available everywhere, has sold 9,187 units in the same time frame. Expanding the Bolt EV’s availability will likely improve the car’s sales substantially. With Americans increasingly glued to devices and their constant flow of information, the auto makers are rolling out what they call the “connected car.” These vehicles can do everything from book a restaurant to delivering Twitter feeds—all at 65 miles an hour. There is more to come, too. Software to import iPhone and Android applications is around the corner. Gadgetry is taking on added importance for the auto makers, who are starting to fret that number of teenage drivers is declining and more 20-somethings aren’t sold on owning a car. 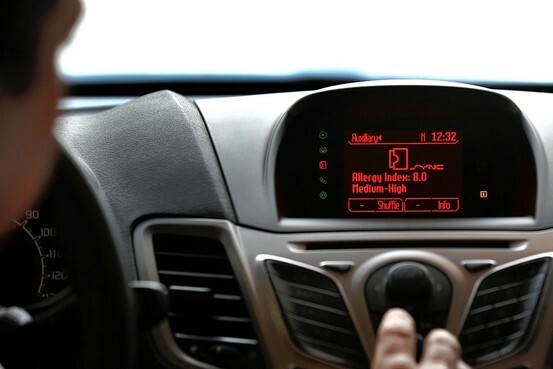 Ford Motor’s Sync was the first dashboard technology to connect a cellphone. Voice-activated applications include Internet radio. General Motors Co. this spring will release an 8-inch, touch-screen display for online applications, navigation and music that can be activated through voice, touch or steering wheel controls.Ford Motor Co. already allows drivers to receive Twitter feeds and stream online music through its Sync technology. New Mercedes-Benz cars this spring will tap into Facebook and perform Google searches. Mercedes drivers won’t be able to enter text while the car is in drive, but prewritten phrases can be selected with a click. Auto makers say the hands-free features of these systems are safe—or at least safer than allowing drivers to thumb through their phone contact lists to initiate a call or text a friend. They have argued to regulators that greater safety can be achieved with steering-wheel and voice controls. Auto makers point to studies, including one by researchers at Virginia Tech Transportation Institute, which show that talking on a cellphone increases the risk of a crash or near-crash by 1.3 times over regular driving, while physically dialing a number increased the risk 2.8 times. A person is more than 20 times more likely to be in a crash or near crash while sending text messages. Such data, which was gathered by monitoring hundreds of hours of drivers with cameras in day-to-day driving, has guided auto makers and the administration to the conclusion that “hands-free” activities are safe. Other studies, including one by University of Utah researcher Michael Strayer, show that talking on the phone, hands free or not, is equally dangerous. 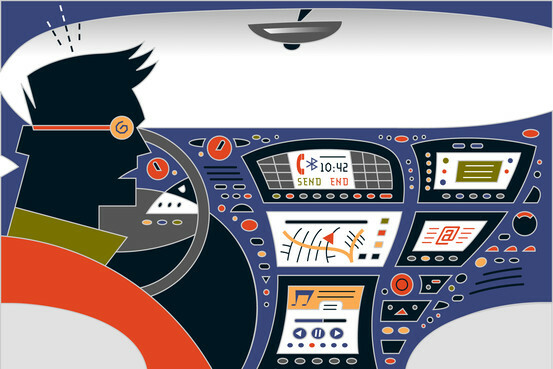 Most of newer car-electronics systems permit access to controls through a touch screen. Still, lobbyists for several auto makers said they sense a change in tone from the administration and no longer expect limits on the technology. Transportation Sec. Ray LaHood recently decided against holding a third-annual Distracted Driving Summit this year and signaled he won’t challenge auto makers that are integrating cellphones into their dashboard marvels. Hands-free calling “isn’t the big problem in America,” Mr. LaHood said, after a December proposal by the National Transportation Safety Board called for a complete ban on cellphone use while driving. Another group, the National Highway Transportation Safety Administration, is studying cognitive distraction caused by the new technologies with a report expected late this year. “When the results are out, we will know more about whether these technologies are a distraction,” Mr. LaHood said. NHTSA’s study will assess hands-free, semi-hands free and hand-held mobile phone use and assess the risk and distraction associated with each, the administration said. The Transportation department also is nearing the completion of a set of electronics guidelines for auto makers that will dictate certain safety protocols. These are expected to be out in a few weeks. Lobbyists for several auto makers said the new guidelines, which aren’t enforceable, will largely follow what auto makers are already doing. 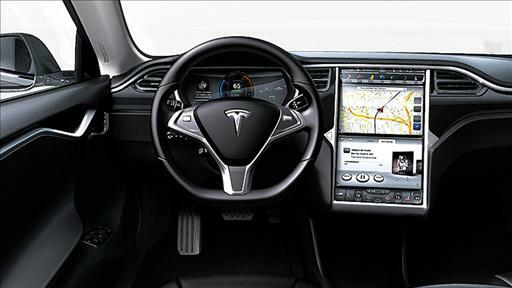 Among the coming in-car devices is a 17-inch touch screen display with Internet access and four USB ports to attach devices in the Tesla Model S electric car. Ricardo Reyes, a spokesman for the company, said the company wants to make sure that electronics in the car are cutting edge, like the vehicle itself. Ford Motor’s Sync in-car information and entertainment system can receive Twitter messages, but not send them. An earlier version of this article said it can both send and receive tweets.